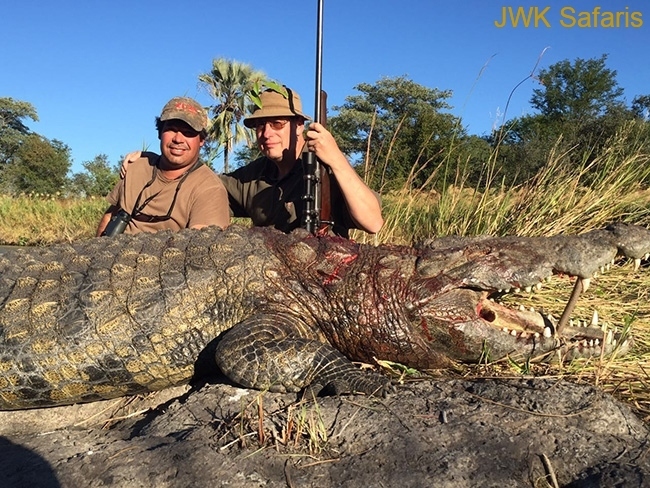 Although not part of the Big Five, crocodile hunting, just like hippo hunting, is a challenging exercise. 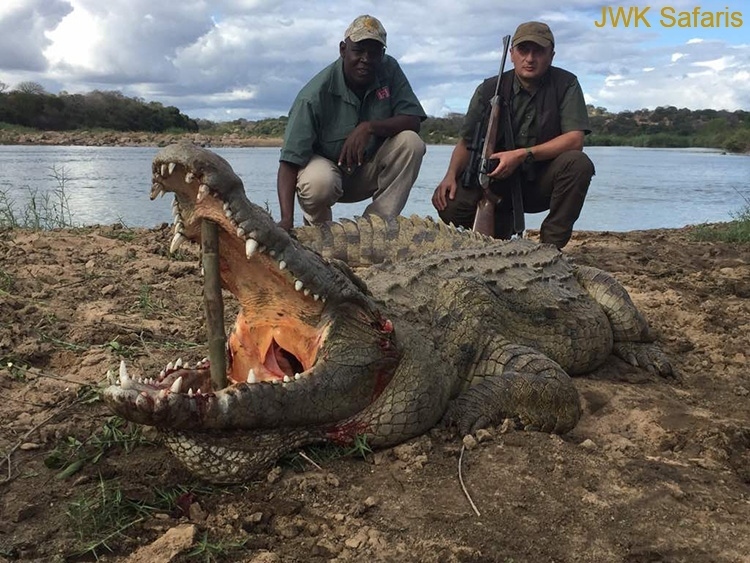 The Nile crocodile is one of Africa’s most unusual dangerous game trophies to hunt, as these large predatory reptiles are found in almost all of the large rivers of Africa. 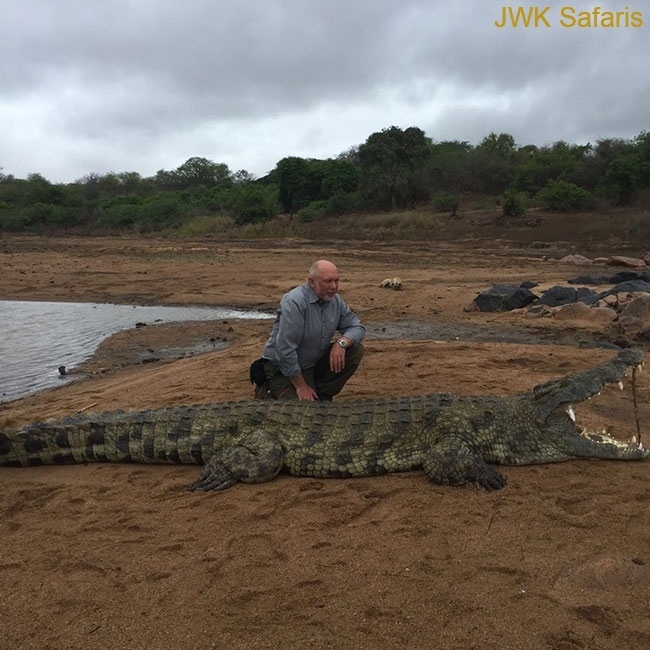 Seeing lots of crocodile basking motionless on river banks hides the fact that they are particularly sharp-eyed and will make a run for the water if they feel in the least bit threatened. 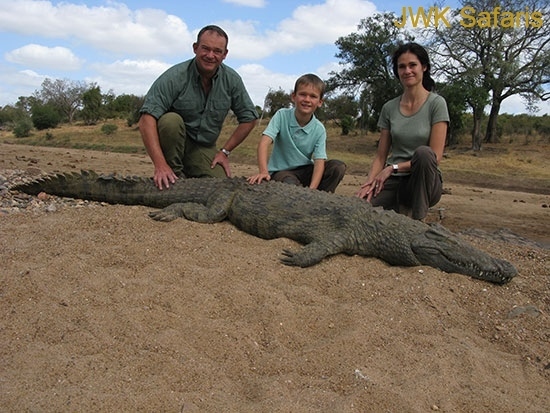 The trophy crocodile may reach a length of about 14-18 feet and may be as old as 75 to 100 years of age. 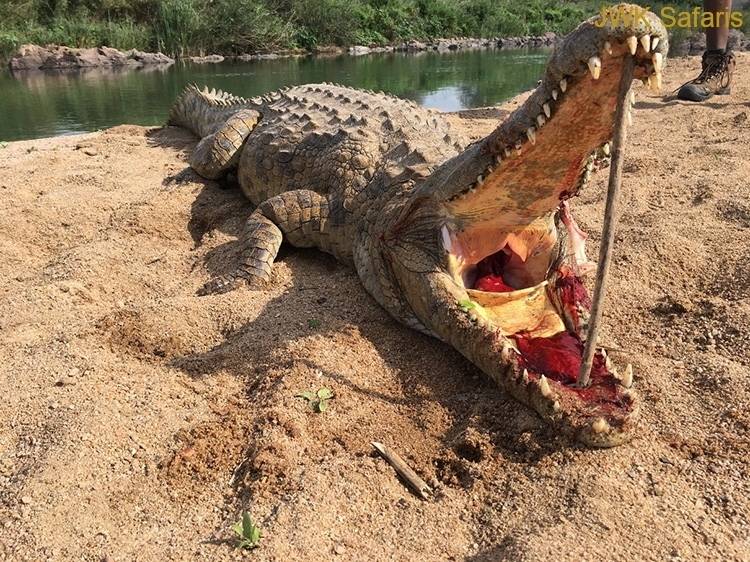 Crocodile gender identification is very difficult if not impossible to be 100% sure of the gender by sight, especially of young crocs. 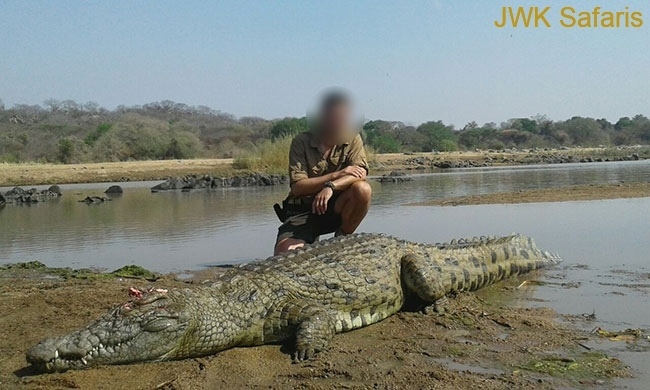 A mature male crocodile will generally have a broad head and a wide, v-shaped muzzle. 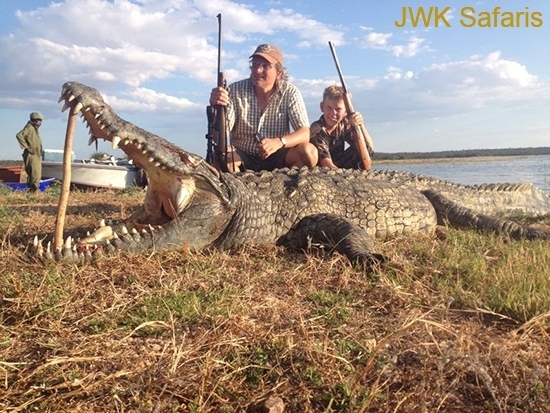 The muzzle of a female will be shorter and slimmer. 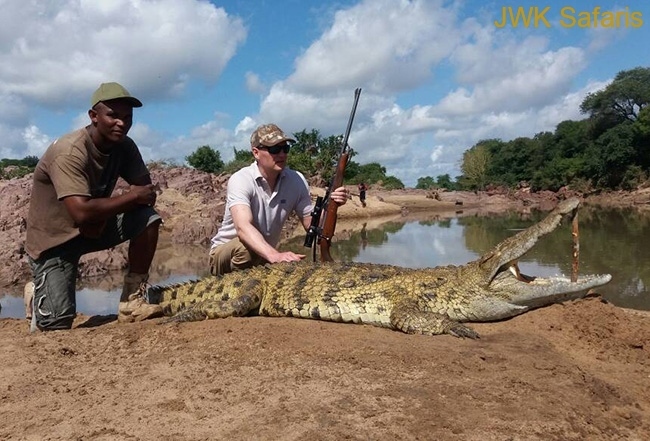 You can try walking and stalking the river bank looking for a suitable croc lying on a sandbank in a suitable position to get a shot, however, these animals are wary in the extreme despite looking like they are asleep. 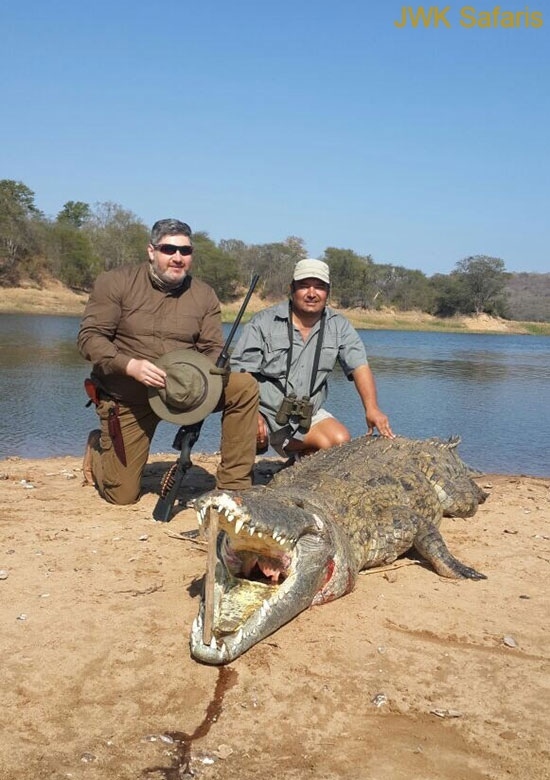 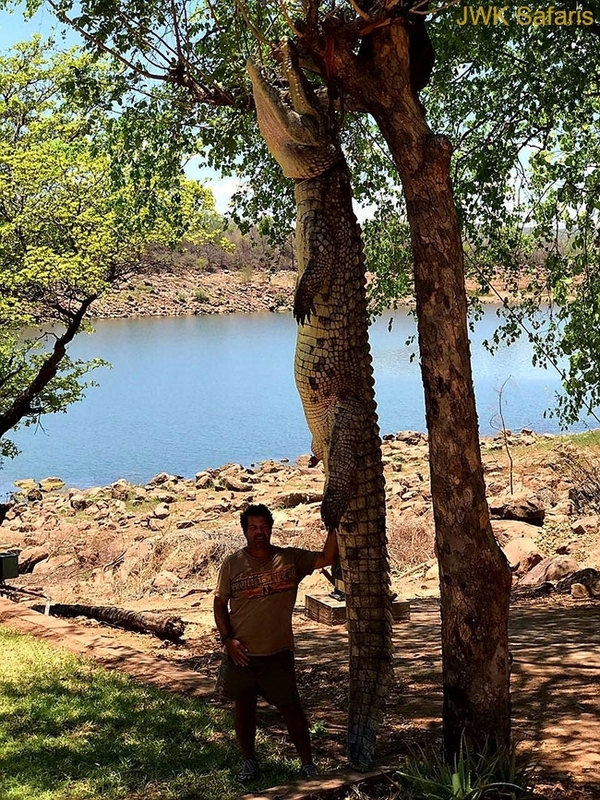 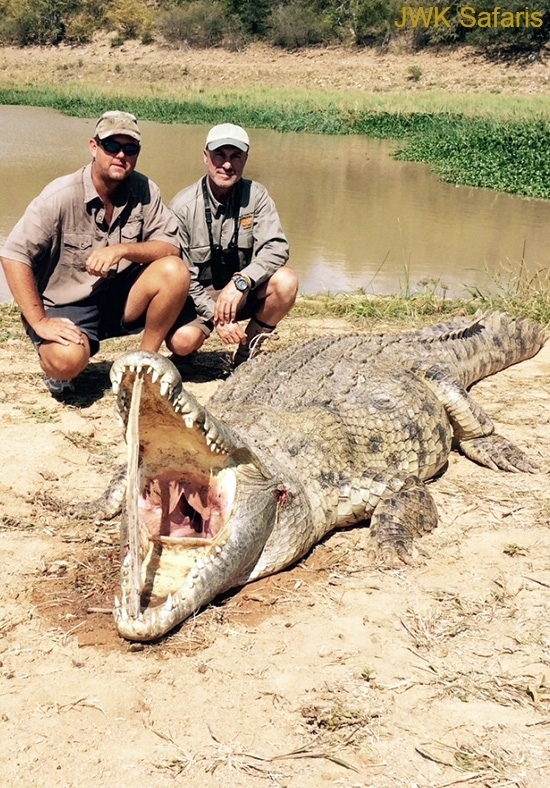 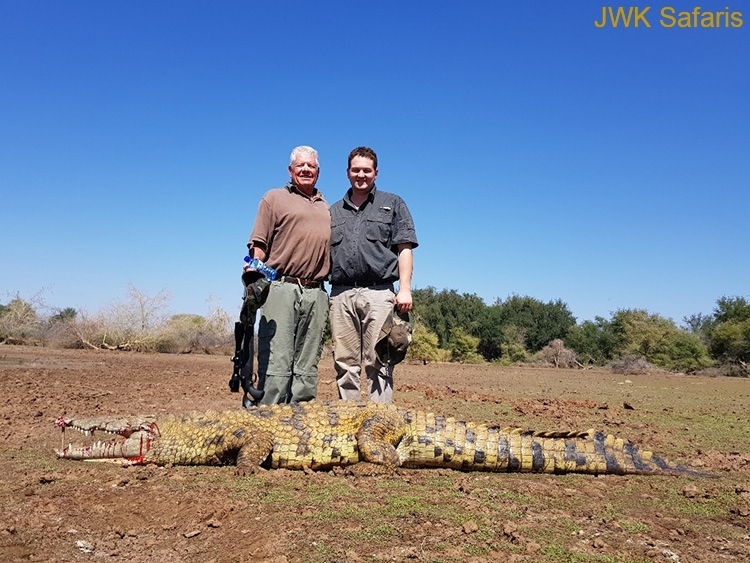 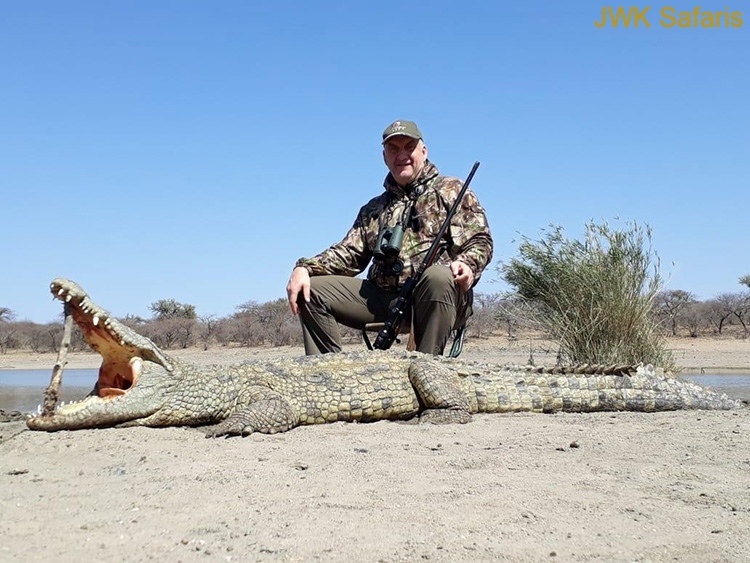 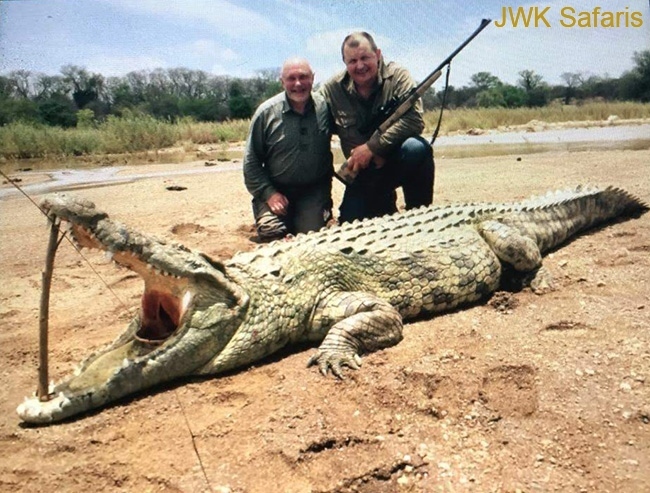 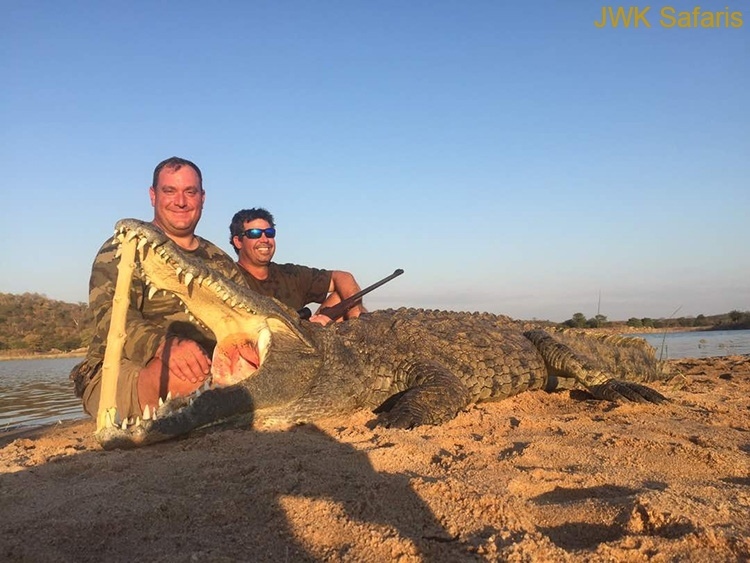 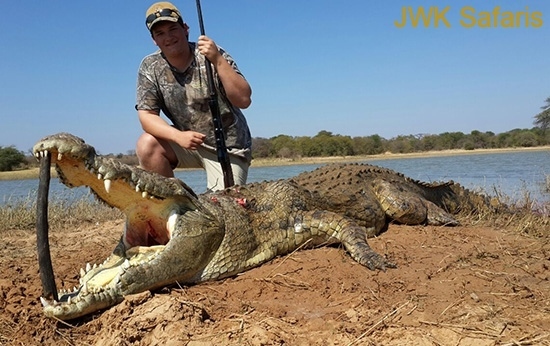 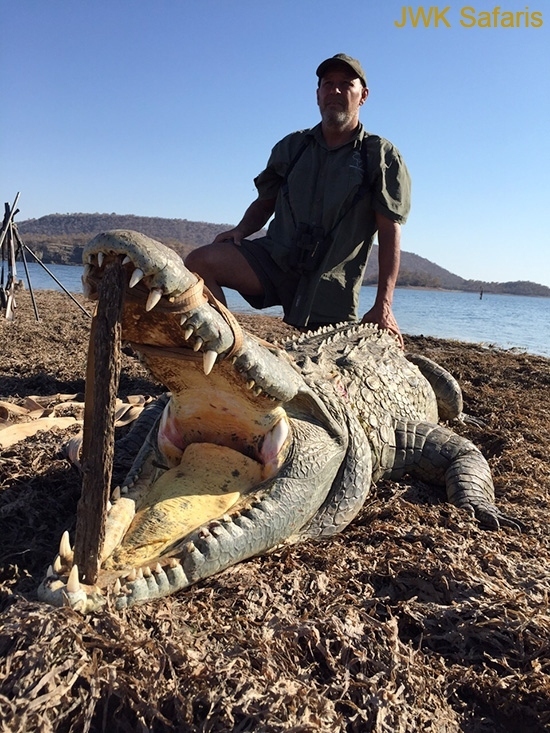 The croc is best hunted from a blind and shot from a solid rest. 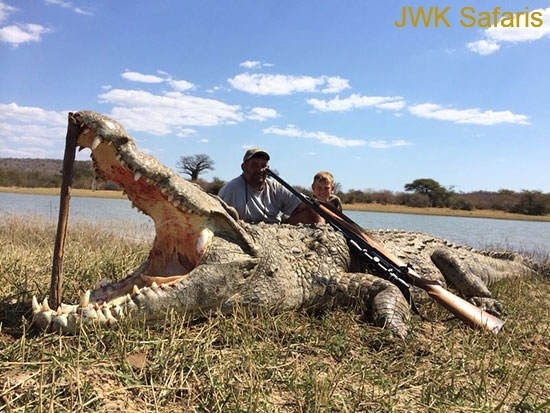 His tough hide and the extremely hard bone encasing the brain calls for a rifle of at least .338 caliber or larger. 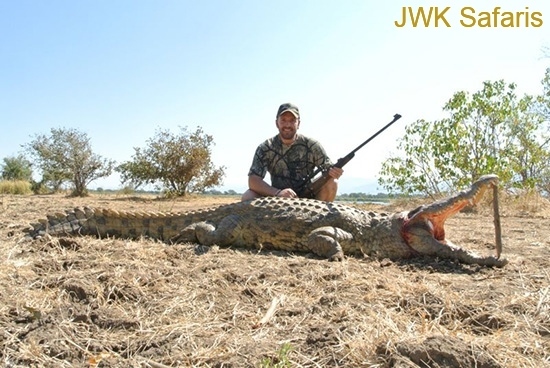 Use only quality controlled expansion soft point bullets. 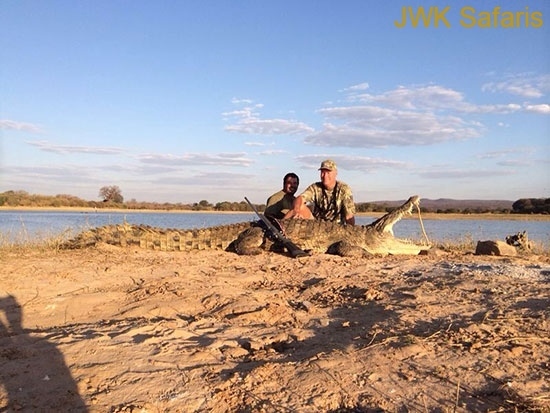 The most effective method by far is to use baits placed at shallow waters edge that are anchored to prevent them being dragged into the water. 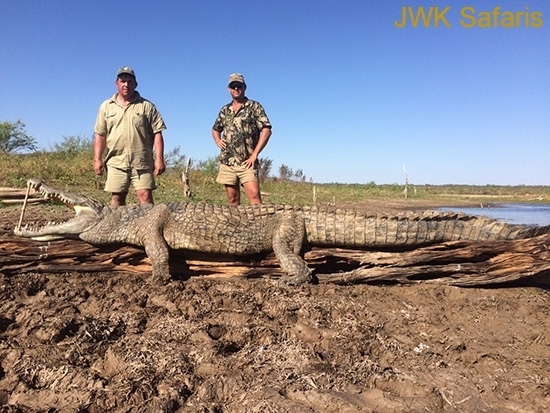 Then set up a rough blind and then the wait begins. 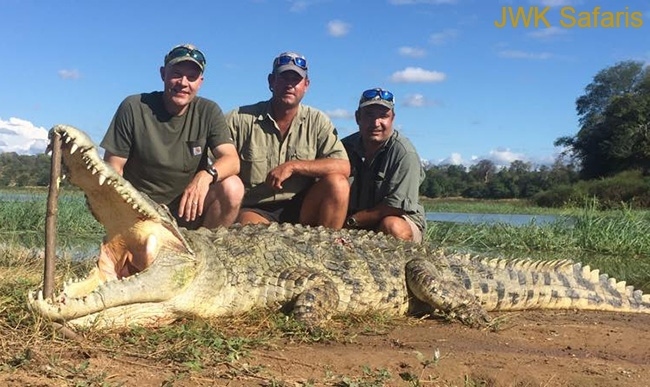 The first shot on the croc must be carefully placed to anchor it, as if he is allowed to retreat to the water, the trophy is surely lost. 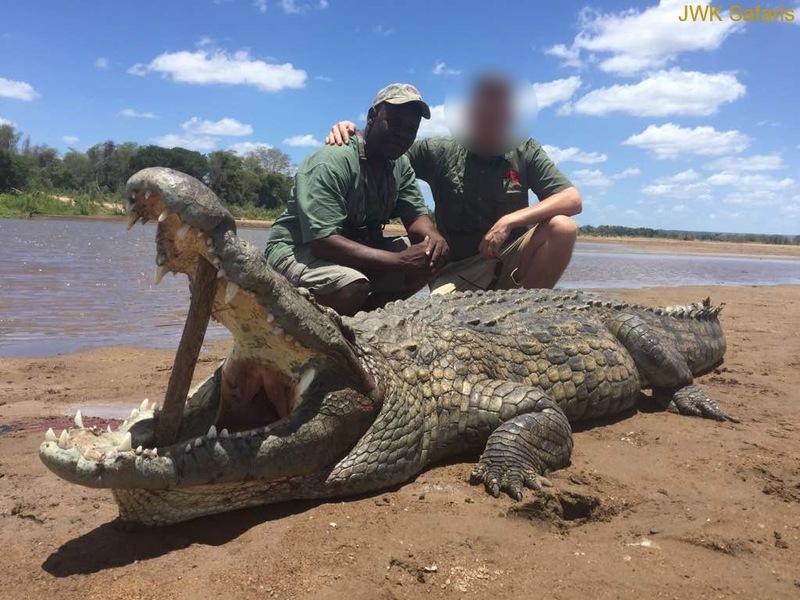 Only two shots are effective in anchoring your croc. 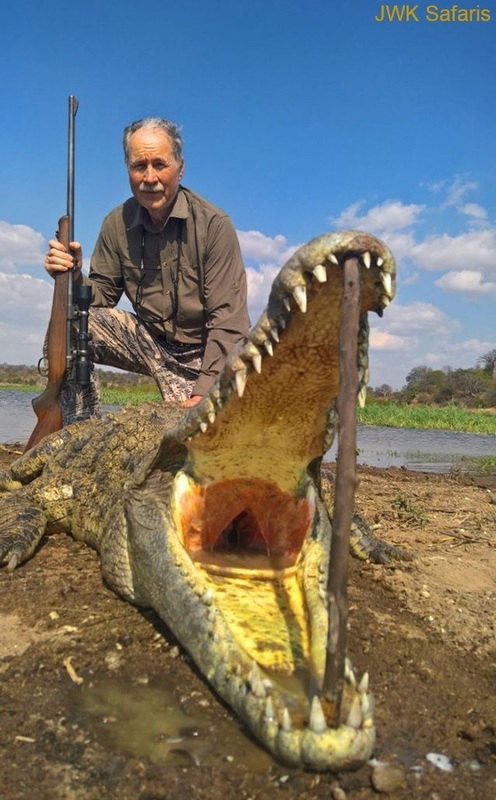 A shot placed into his golf-ball sized brain or one that hits the spinal column just behind the head. 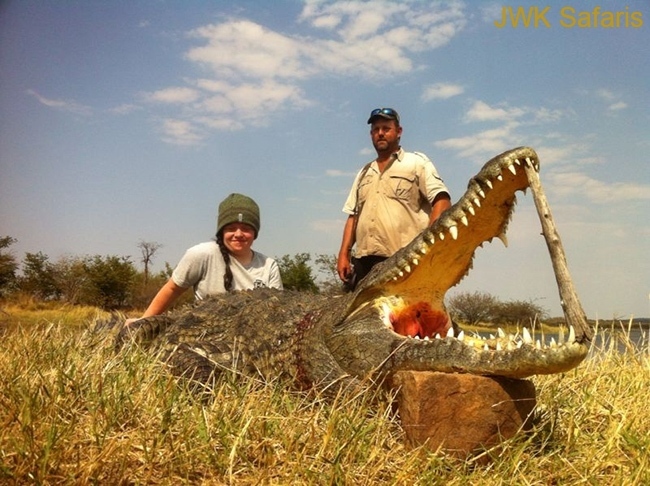 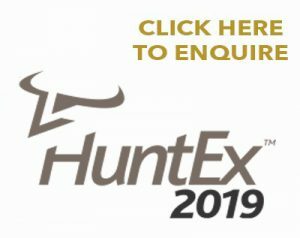 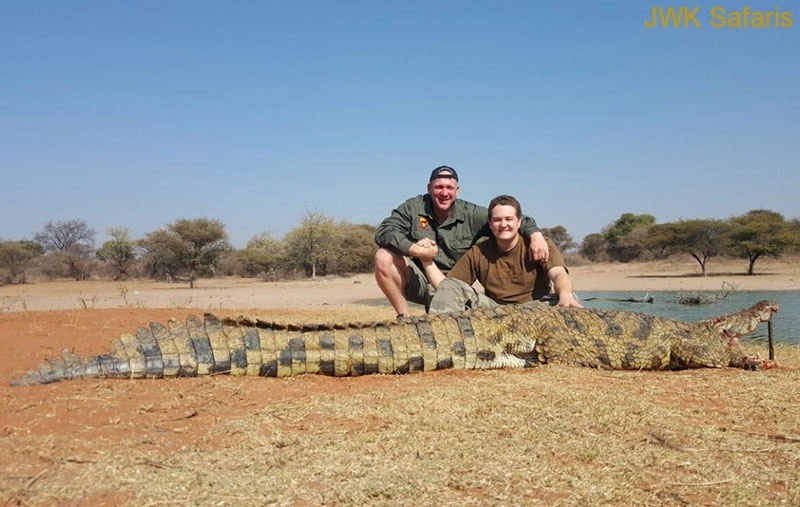 Hunting the trophy crocodile can be an exciting and rewarding experience to any hunter. 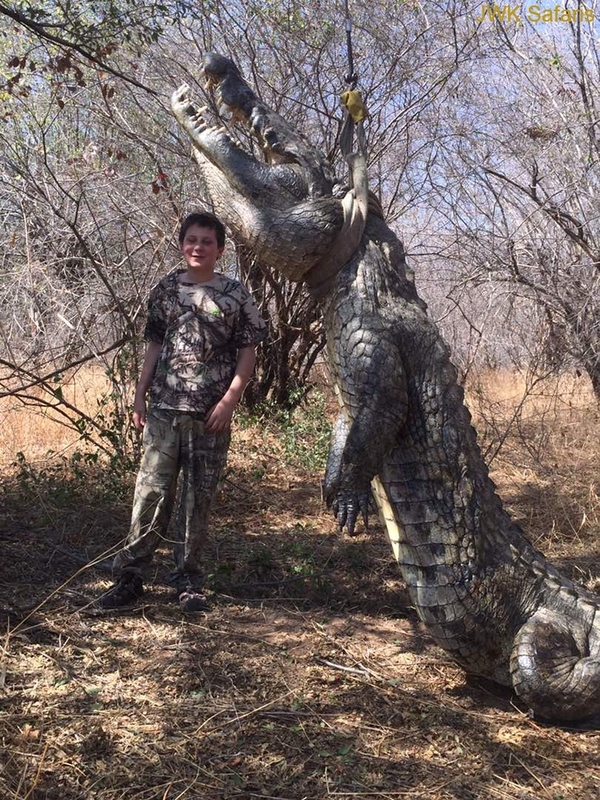 With a bit of planning, one can stack the odds in your favor. 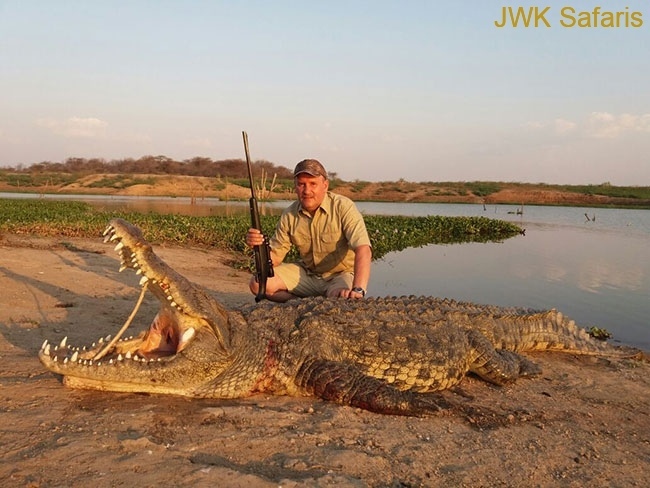 Choose the right rifle and bullet combination and place your shot carefully. 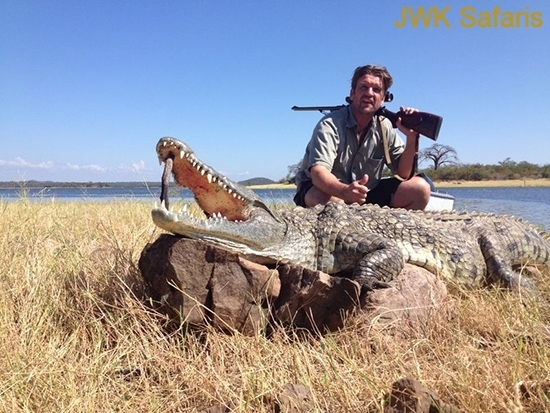 Your reward will be a magnificent crocodile to add to your trophy room.